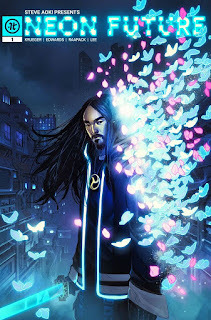 Today two-time Grammy-nominated international producer and DJ Steve Aoki released the trailer to his highly anticipated NEON FUTURE comic book series which features musical elements from the next installment in the album series, Neon Future III. 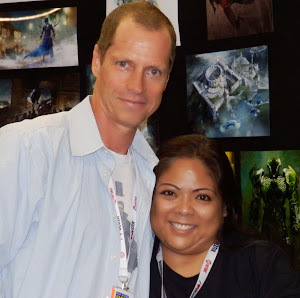 The futuristic sci-fi series was created by Aoki, Eisner Award winner Jim Krueger (DC Comics “Justice,” Marvel “Earth X,” “X-Men, “The Avengers”) and Impact Theory founder Tom Bilyeu. The first issue will be released by Impact Theory on October 4th at the 2018 New York Comic Con. NEON FUTURE,” said Krueger. “It has all the elements of a dynamic story, with compelling characters who evolve into true heroes by overcoming suffering. 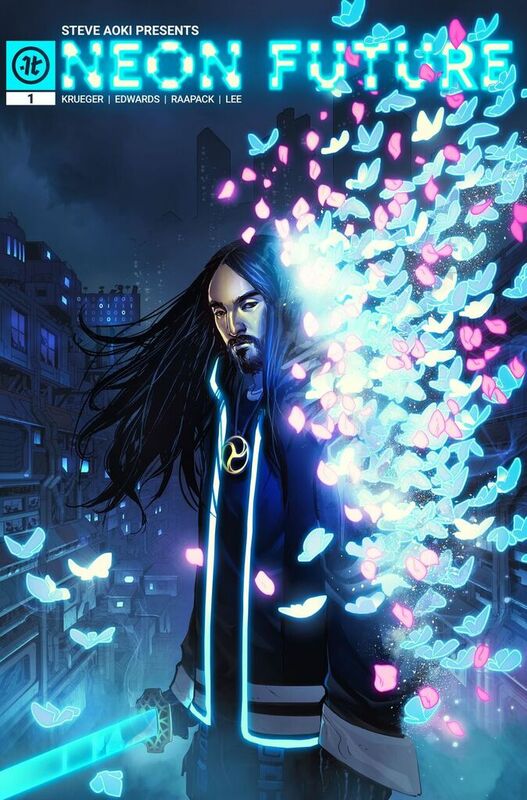 Working closely with Steve Aoki’s extraordinary imagination our team has built something really special.” The series is a compelling, character-driven sci-fi story that chronicles the dangers of unchecked power and the limitless nature of human potential. NEON FUTURE will be available to pre-order online at http://neonfuturecomic.com/. Free digital copies will also be made available exclusively for all who sign up for the newsletter. A free physical copy of Issue 1 Cover A (and all other variant covers for purchase) will be available at the Impact Theory Booth #236 at New York Comic Con October 4th-7th. The first issue features collectible variant covers designed by creator Jheremy Raapack (“Injustice: Gods Among Us,” “Batman: Legends of the Dark Knight,” and “Hulk Smash.") and South Korean artist Kim Jung Gi (Marvel “Civil War 2,” Blizzard “Siege of Lordaeron”), known around the world for illustrating by photographic memory. Supplemental collectible key art created by legendary concept artist Maciej Kuciara (feature films “Ghost in the Shell,” “Avengers,” “Guardians of the Galaxy”) will also be made available in limited quantities. On Oct 5th Aoki will be at NYCC headlining the panel “From the Stage to the Page: Musicians Creating Comic Books” (10:30 AM - 11:30 AM, Room 1A24 – Javits Center) with hip hop legend Darryl “DMC” McDaniels, alt-pop phenom Lights and rock star Andy Biersack of “Black Veil Brides,” followed by a limited signing session at the Impact Theory Booth #236 at 12 noon. The comic book is an extension of the overarching visionary world of Neon Future, which strives toward the singularity in a utopian convergence of technology and humanity. Coupled with the release of Aoki’s "Lie to Me" music video and "Be Somebody" single with DJ/producer Nicky Romero ft. Kiiara, fans see a shining a light into the world of Neon Future, showing Aoki making both a physical and a musical transition approaching the debut of the newest album chapter in the series. Led by the mysterious Kita Sovee (inspired by Steve Aoki), they strive to bring peace by showing the world a brighter future in harmony with technology. When Neon Future brings TV star, Clay Campbell, back from the dead with a rare technology, the uneasy balance between the government and the techno-class is threatened. Clay learns from the elusive rebels about the true nature of his past and his unexpected role in a brewing civil war. From Steve Aoki, and Eisner Award-Winning writer Jim Krueger, comes an innovative and compelling story of the dangers of unchecked power and the limitless nature of human potential. Approved NEON FUTURE artwork for media available here. STEVE AOKI is a 2x Grammy-nominated international producer/DJ and founder of the trendsetting record label, events/lifestyle company and apparel line Dim Mak. Aoki is a tastemaker, entertainer, designer, entrepreneur, and philanthropist. In 2012, he started THE AOKI FOUNDATION whose primary goal is supporting organizations in the brain science and research areas. Musically, Aoki is known for his genre-spanning collaborations ranging from BTS to Migos, Linkin Park, Louis Tomlinson (One Direction) and more. His debut artist album was nominated for a Grammy in the Best Electronic/Dance Album category. His follow up albums Neon Future I and Neon Future II were certified Gold. In 2017, Aoki released Kolony (via Dim Mak Records / Ultra Records), which debuted at #1 on the Electronic Album charts and marked his first full turn into rap music. Most recently, Aoki released his singles "Azukita" with Daddy Yankee, Elvis Crespo and Play n Skillz and "Pretender" with AJR and Lil Yachty. With his second Grammy nomination in the Best Music Film category as the subject of the 2016 Netflix Original documentary "I'll Sleep When I'm Dead," countless awards, including holding the Guinness Book of Records title for 'Most Traveled Musician in a Single Calendar Year' and TV appearances from The Daily Show with Trevor Noah to Martha & Snoop's Potluck Dinner to X Factor (UK), Aoki is a truly a global force. ‘Morning in America’ is Coming in 2019! New York Comic Con: Our Friday Picks! 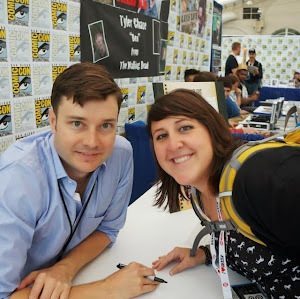 New York Comic Con: Our Thursday Picks!